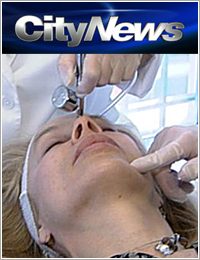 A Toronto dermatologist is promising a faster, cheaper alternative to young, fuller skin and lips at a reduced price. DLK On Avenue – the business of Dr. Lisa Kellett – swears by its Intraceuticals Oxygen Infusion Treatment, calling them cost-efficient, short-term fixes for the signs of aging. There’s also no downtime following a trip and at $250 for a Vitamin A, Vitamin C and Hyaluronic Acid infused facial – it’s a much cheaper alternative to collagen injections or surgery. “The result is plumper, fresher skin instantly,” Dr. Kellett insists. The downside is the results are temporary – lasting about three days. Yet some claim that’s good enough for the likes of Madonna and Brad Pitt, who are said to frequently receive similar treatments. But what if your mouth is where the concerns lie? 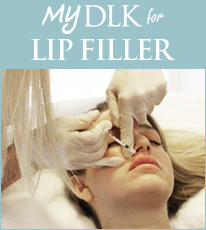 There’s also a procedure called Weekend Lips. The 10-minute procedure promises a fuller, plumper look for just $150.